China-based new energy company and electric vehicle titan BYD has inked its largest bus deal in its history in the Americas with a new deal for 100 fully electric BYD buses in Santiago, Chile. The new buses will go into operation in November of this year, when BYD hands them over to transit operator Transantiago. The new buses will be operated by transit operator Metbus in the Transantiago public transportation system on some of Santiago’s busiest routes. 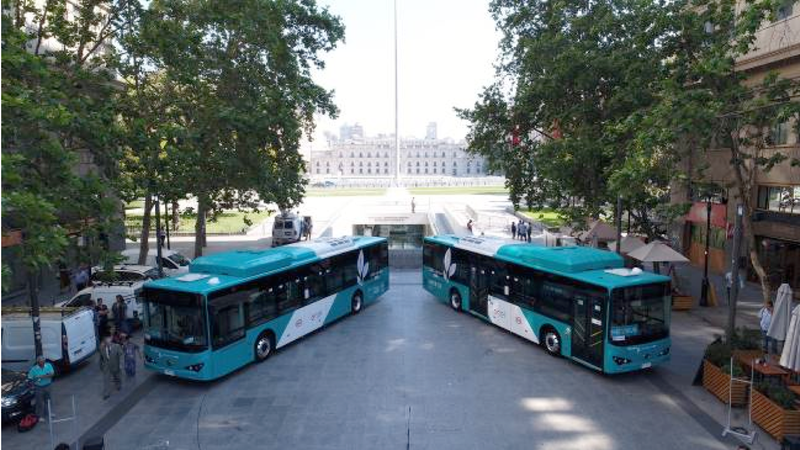 As with all BYD buses, these will be start with a foundation of BYD’s lithium ferro phosphate battery technology on which local transit options and regulatory requirements for the Chilean market will be added. The new deal in Chile comes as the next in a long line of big deals BYD has landed in South America including a SkyRail line in the Brazilian city of Salvador and a deal for 200 BYD garbage trucks also in Brazil that build on BYD’s expansion into the region with the electric bus factory in opened in Ecuador last year, among others. The push into developing markets demonstrate just how competitive electric vehicles can be on a purely financial basis, without even taking into account the noise and emissions benefits they also bring to the table. On top of that, replacing diesel transit buses with fully electric buses is a way for cities to clean up the air in urban areas which results in a healthier population over the long haul.